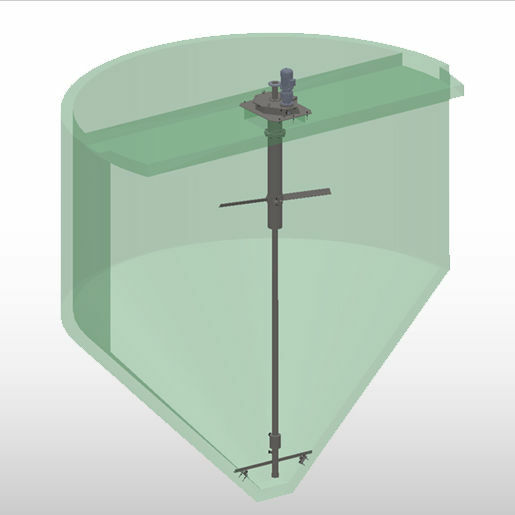 The DSP Grit Trap is used to remove sand from sewage in waste water treatment plants. The equipment consists of a drive unit complete with a central bearing, two steel blades operated by an impeller and a central air lift pipe. Sewage enters the concrete tank tangentially. It is then moved thanks to two blades operated by a drive unit installed on the concrete walkway. The circular movement allows sand to settle on the bottom of the tank. The air lift is composed of a flanged pipe with a hydro-extractor fitted in its end. The air lift operates through compressed air, thus lightening the sand-water mixture and efficiently sucking sand from the bottom of the tank.